After few surfing days it is normal to feel some curvature its really good idea to try Relax Massage with Argan oil or Moroccan Hammam that could help to relax your muscles after hard paddling, when you will decide to try don’t hesitate to ask your instructor to give you more information they can show you the local salon even they can make a reservation if needed. 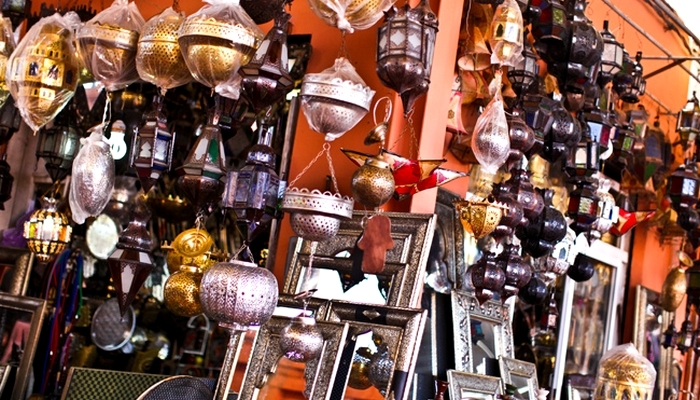 The traditional Moroccan market of Agadir name SOUK ELHAD. it’s one of the largest in Africa and very spacious aisles light comes across not like the one in Marrakech or Fes, it’s much less expensive the very welcoming and helpful shopkeepers give good advice especially for spices and traditional stuff. We are only 20 mins drive. the bus number 32 that drive from Taghazout Village to Agadir city. or if you need a taxi for sure we can help to organize. 30 Min drive from the surf camp, the paradise valley located in a heart of the Atlas Mountains. You will swim in natural swimming pool. 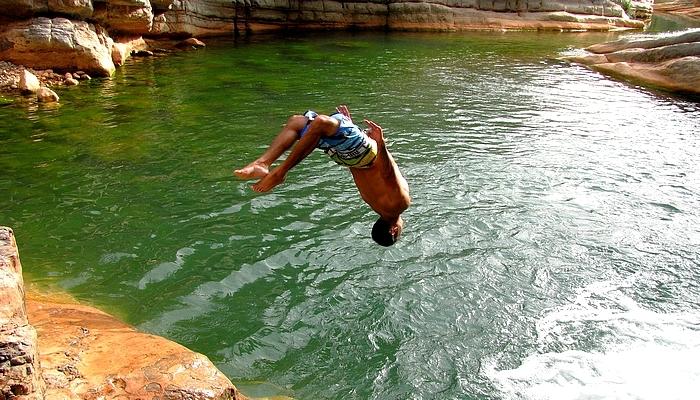 and also you can try cliff jumps. Yoga is particularly well suited to surfers’ needs. While a new surfer can get benefits from the strength-building qualities of an asana practice, others more experienced will get more out of a slower, stretcher practice, either immediately after riding or on a day off. Just a few mindful, easy stretches will prevent muscles from settling into a shortened, stiff position, and will make your next surf session that much more enjoyable and productive. 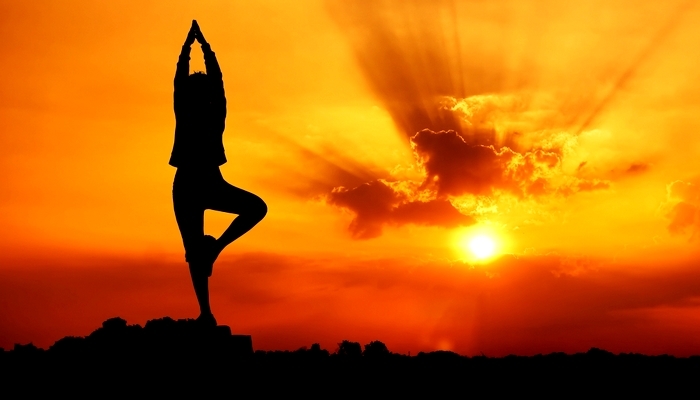 Join our sunrise and sunset yoga classes offered 6 days a week. 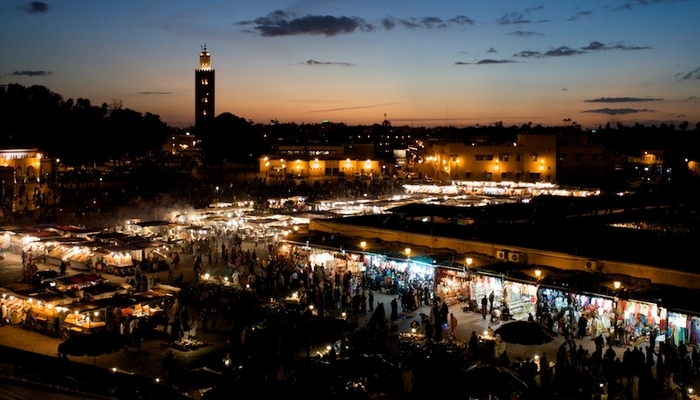 Marrakech it’s the biggest tourist city in the kingdom of Morocco. Marrakech have a surname red city in arabic language (al madinah alhamra). if you are a group starting from 5 person and want to visit Marrakech will help you with a big pleasure. we can organize a transport trip to Marrakech city. 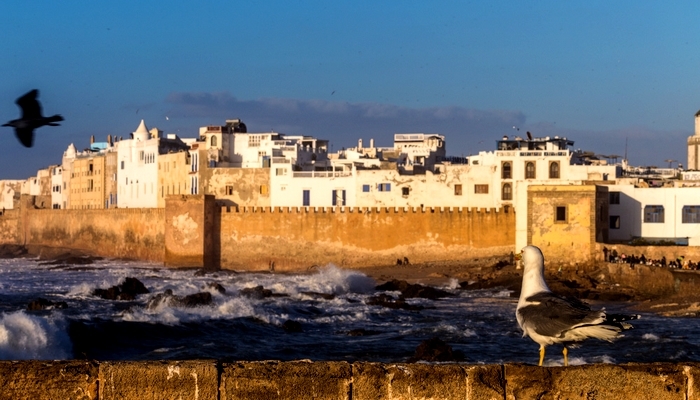 Formerly known by its old Portuguese name “Mogador”, Essaouira is a citadel with a rich past. 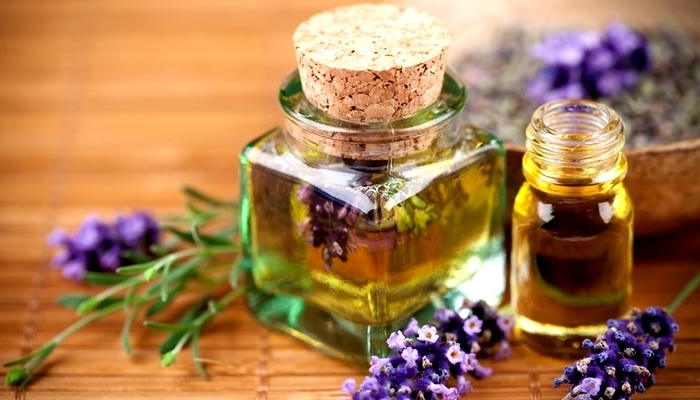 It has been occupied since prehistoric times and was famous for the factory supplied Rome Empire with the purple dye. 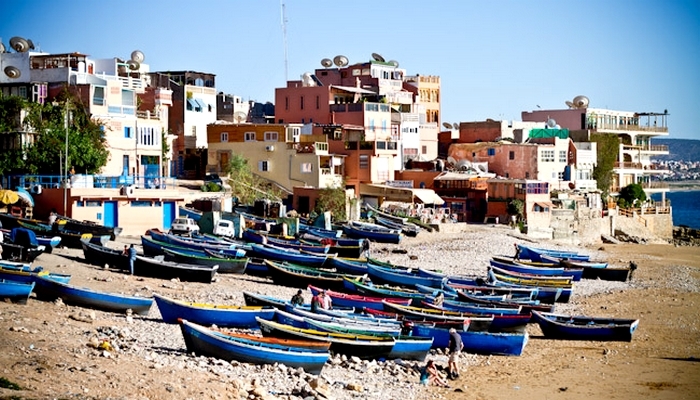 A cradle for artists of all kinds, Essaouira is also well known for its fishing port and market, a hive of activity day or night.if you are a group starting from 5 person and want to visit Essaouira will help you with a big pleasure. we can organize a transport trip to Essaouira city. 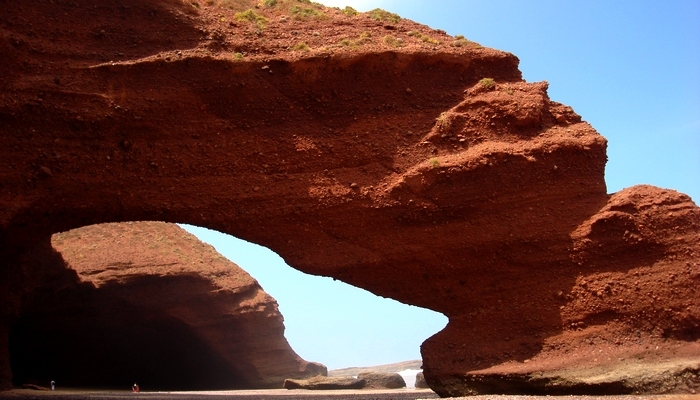 In between 2 big cities – Mirleft and Sidi Ifni, you can find Morocco‘s most unique beach called Legzira – windy, rocky and with it’s two majestic red stone arches carved by water and wind. Kind of must ? visit place. If you are a group minimum 5 persons – we will assist and organize the day tour. 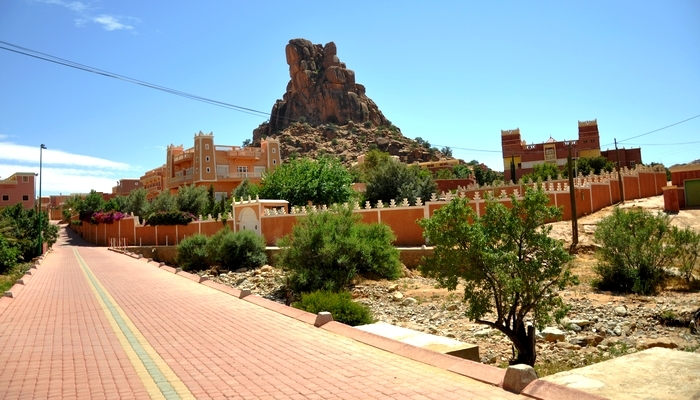 Based in the gorgeous Ameln Valley, the village of Tafraoute is surrounded by red-granite Mountains. Despite its unassuming appearance. It is a pleasant and relaxed base for exploring the region. 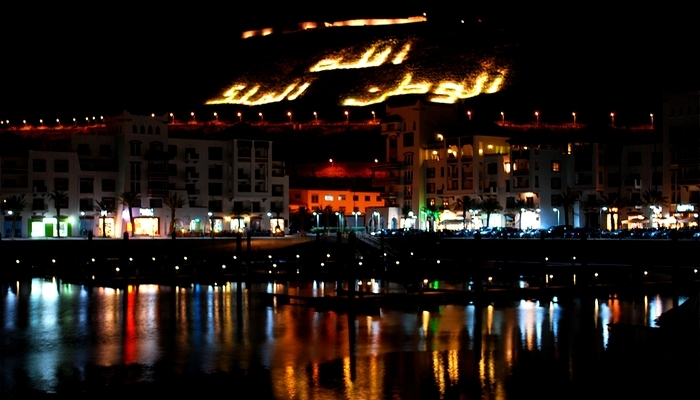 The leading seaside resort in Morocco deserves its title. A 10km-long beach of fine sand and more than 300 days of sunshine a year. With its perfect -climate, providing a minimum of 300 days of sunshine a year, and its 10km-long beach, Agadir has everything you need. The small village Taghazout attracts attention of professional surfers from the entire world. There is the most famous surf spot here that called Anchor point. Here you can find atmosphere of a real surf life and relax. Taghazout is only in five minutes from the camp. One more picturesque village that Is next to the camp. 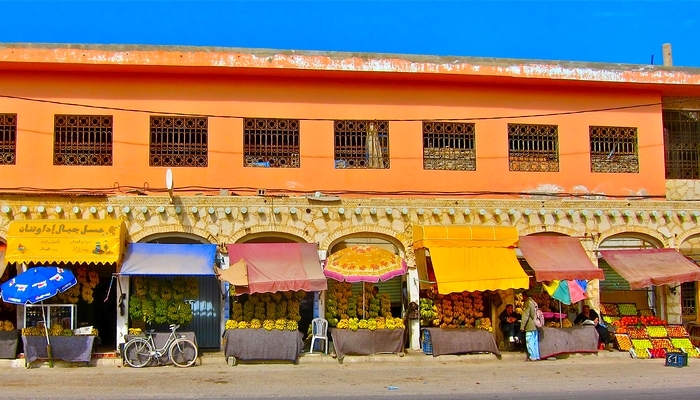 There you can buy some tasty fruits especially bananas, have look at one more surf spot for professional surfers Banana Point and just enjoy atmosphere of the small Maroccan village.